Wonder what are the car names for the red color supercars featured in NFS (Need for Speed) movie? Here is the list and some nice details about those red cars. NFS or Need for Speed is a 2014 American action film directed by Scott Waugh, written by George Gatins and John Gatins and produced by DreamWorks Pictures and Reliance Entertainment. 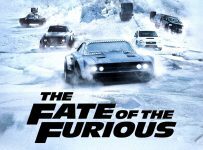 Based on the series of video games by Electronic Arts, the film stars Aaron Paul as street racer Tobey Marshall, who sets off to race cross-country, as a way of avenging his friend’s death at the hands of a rival racer (Dominic Cooper). Need for Speed was released by Touchstone Pictures on March 14, 2014, in 3D, IMAX, and conventional theaters. The film grossed $203.3 million at the worldwide box office.